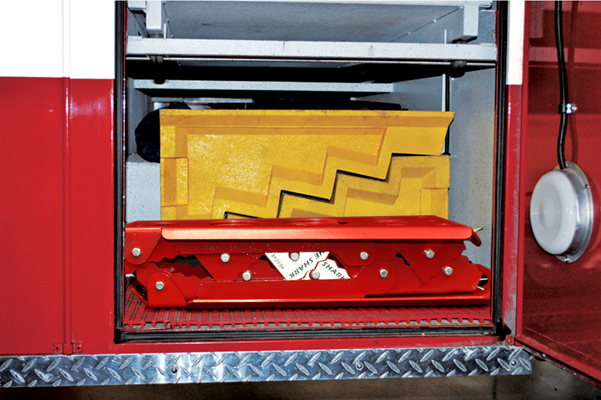 The Shark™ Collapsible Step Chock will save critical storage space on your rig for more important life saving equipment. Its innovative design is taller than most traditional step chocks, collapses to 5½” and is designed to nest together when stored for further space savings. 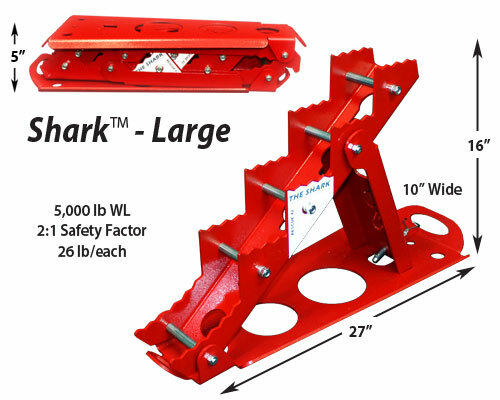 You can fit 4 Sharks™ in less space than 2 wood or plastic chocks require. 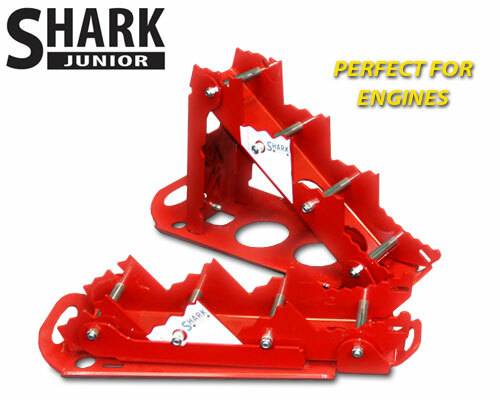 The Sharks™ tough steel construction meets the 2:1 height to base ratio requirement while positive grip teeth on the steps bite into anything they come in contact with. 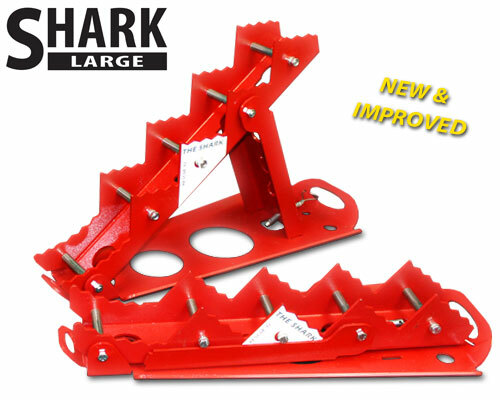 The Sharks™ base-plate accepts ratchet straps or pickets to prevent slipping in icy or muddy rescue conditions. 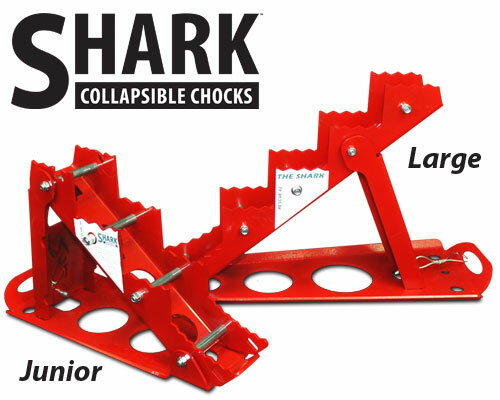 Shark™ Large (SRK-L2): The Large Shark™ is intended for rescue companies that regularly use step cribbing. At 16½” tall, it can stabilize most high clearance vehicles. 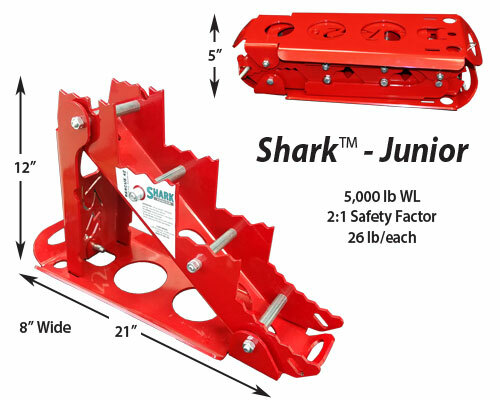 Shark™ Junior (SRK-JR): NEW! 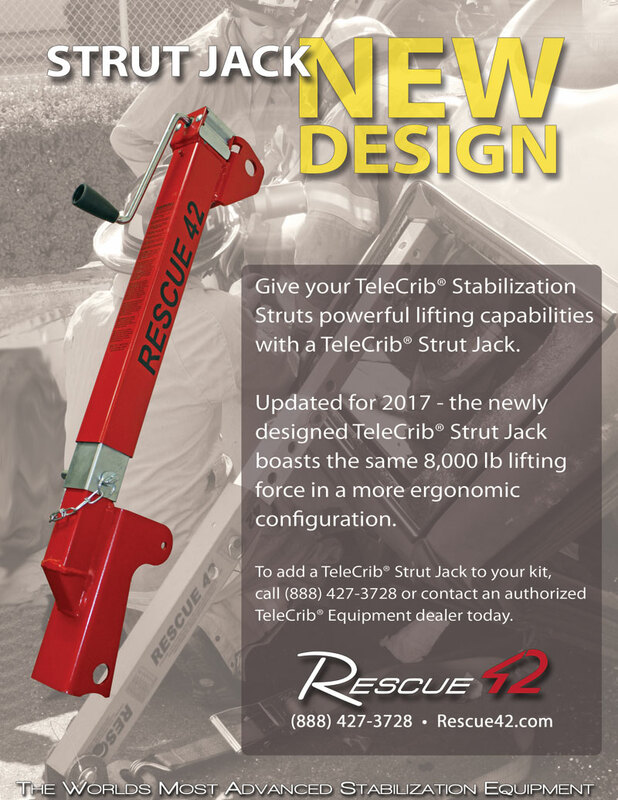 The Shark™ Junior is a perfect pairing with the TeleCrib® Junior All-in-One Strut for first due Engine crews. 12″ tall, the pair nest together and include a shoulder strap for easy carrying. Ratchet Strap(CTC-504): 27′ long, 10,000 lb test/3,330 lb working load. Can be used to secure 2 Sharks™ together (under a vehicle) to prevent slipping or to the vehicle itself.